Your message has been sent to Lee Tyrell . Like authorSTREAM? Give us a +1! Our drainage and plumbing experts are based in Chelmsford. Drainfix Services Ltd has a range of services from drains to plumbing including CCTV drain surveys, drain repair and excavation, drain jetting, pump stations, plumbing, water mains repair, trenchless technology and more. 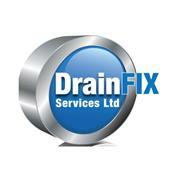 Drainfix Services Ltd are happy to serve customers in Chelmsford and the surrounding area. Our plumbers Essex have served clients in domestic and commercial properties.